how to combine things within each moving box? Indeed – sometimes well enough is perfect. Some decisions need a bit more thought than others. Some, you just go quick with what you have to do and make it work. Some….well, you learn from those too. Looks like an interesting day! 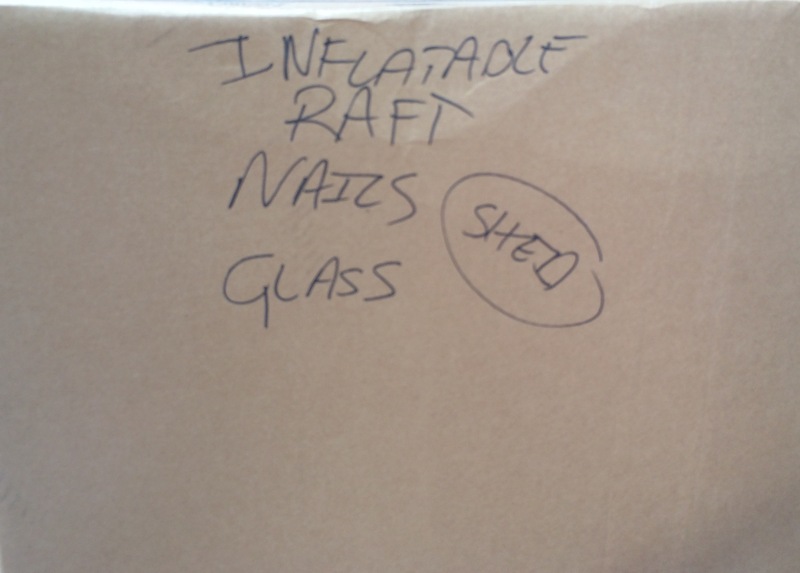 Recommend raft by itself, nails inside jars, and glass pieces wrapped in newspaper or towels. There’s always a challenge in discarding, combining or separating. Ha! The suspense is killing me!